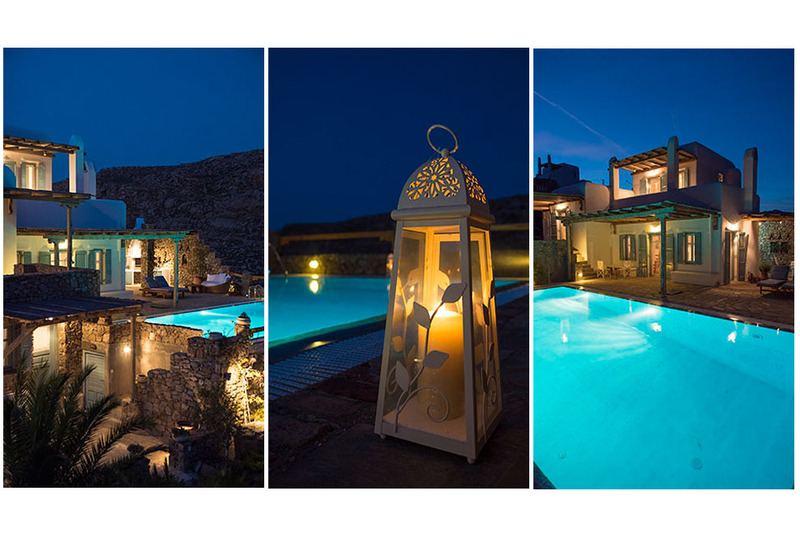 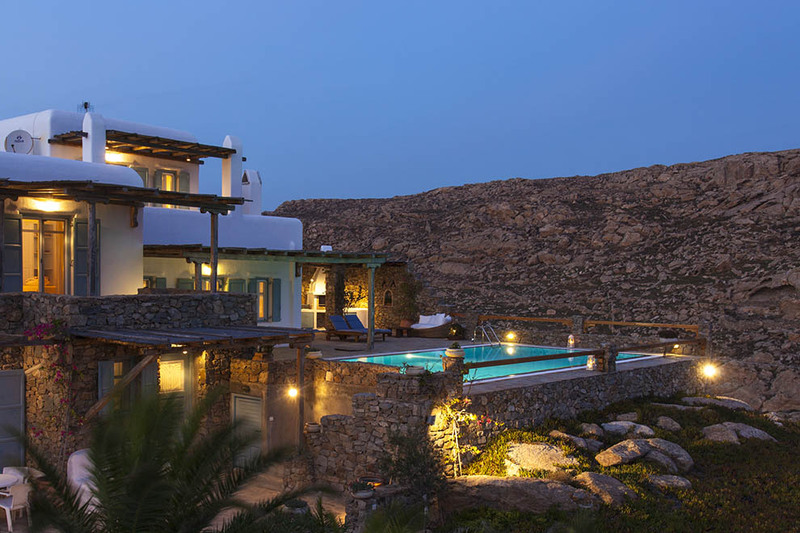 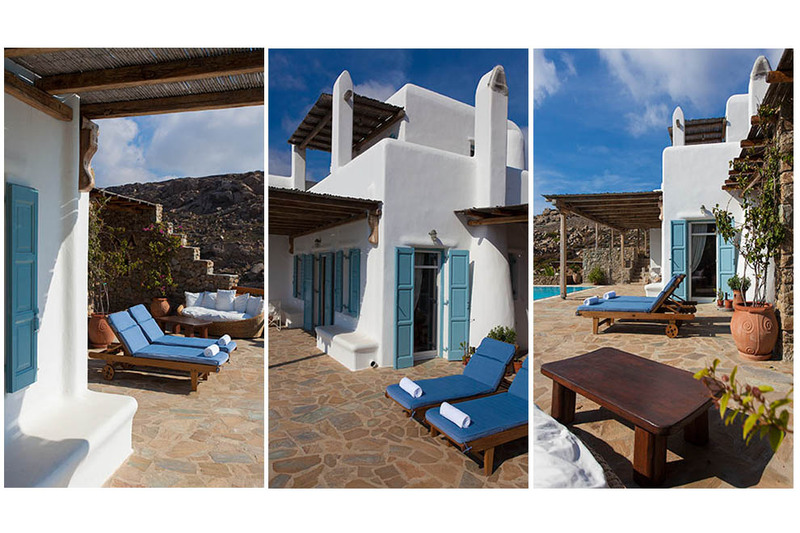 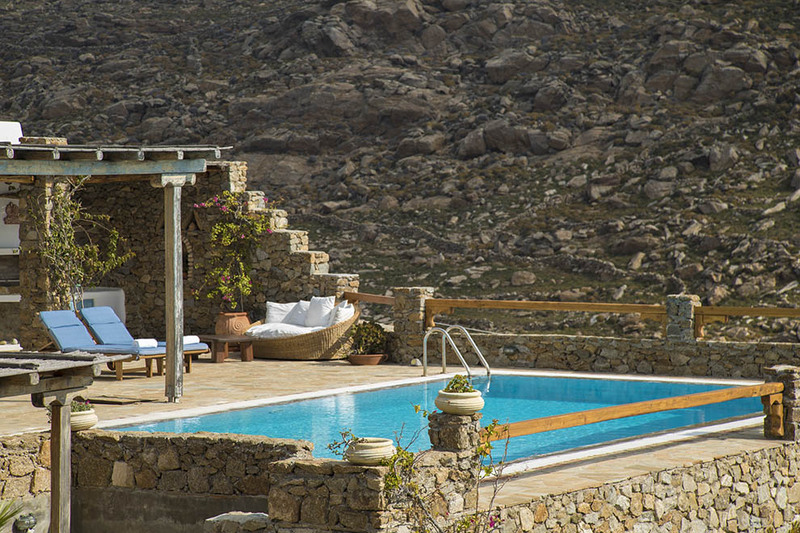 At the southern part of Mykonos island, at the beautiful Agrari gulf, villa Selene stands in the middle of the gulf and offers stunning view to the magnificent tranquil sandy beach of Agrari and the opposite islands, Paros and Naxos. 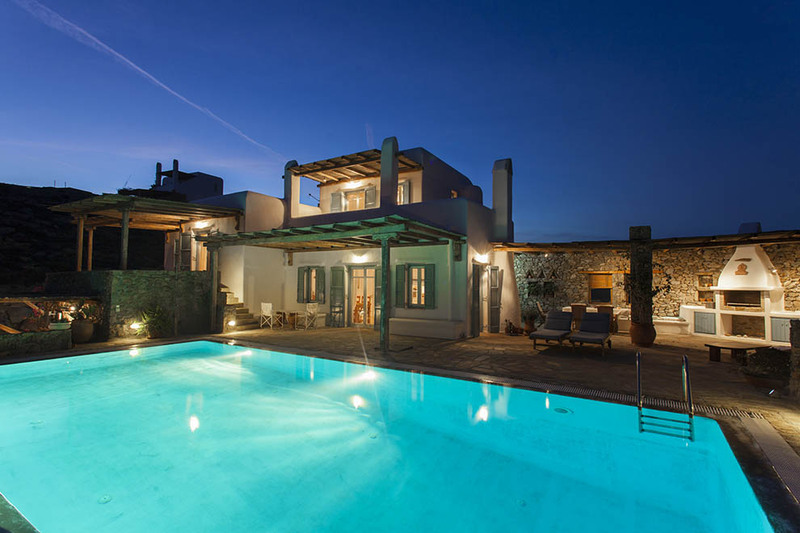 Villa Selene is separated in two parts: the main house, with three comfortable master bedrooms and an amazing living room that has direct access to the private pool, and the separate guest house located on the lower level of the property. 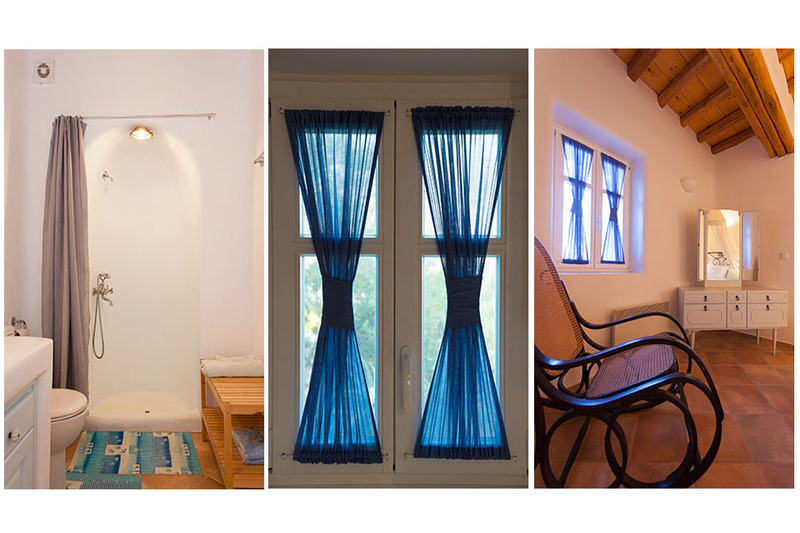 The guest house includes a separate living room and two master bedrooms, offering greater independence to the guests. 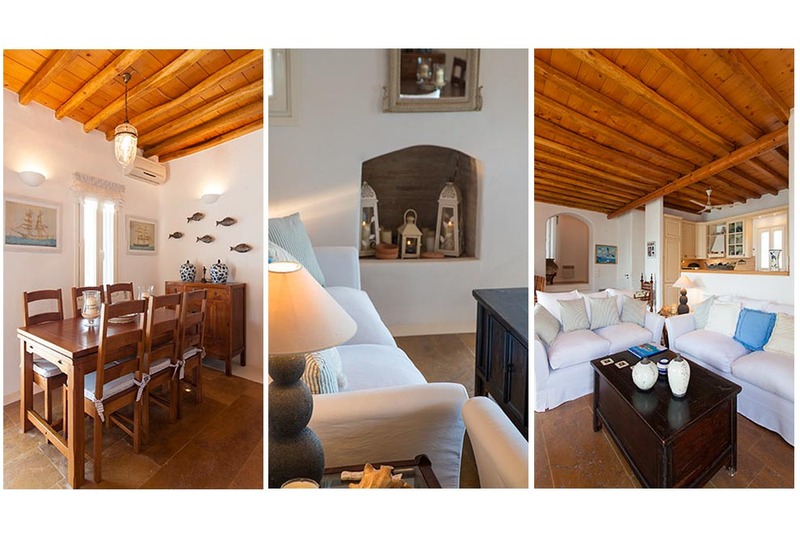 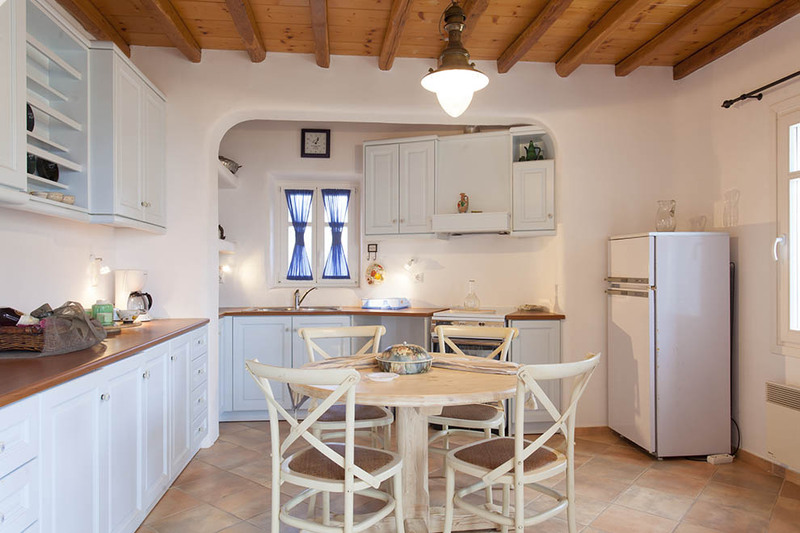 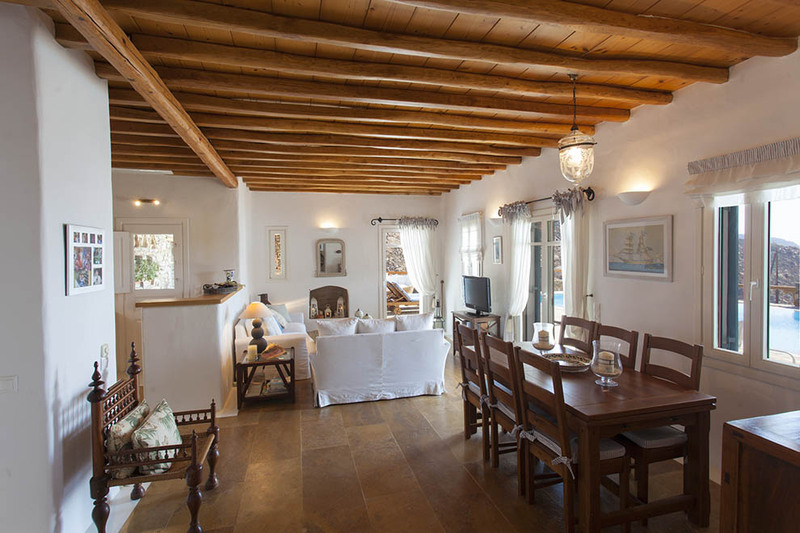 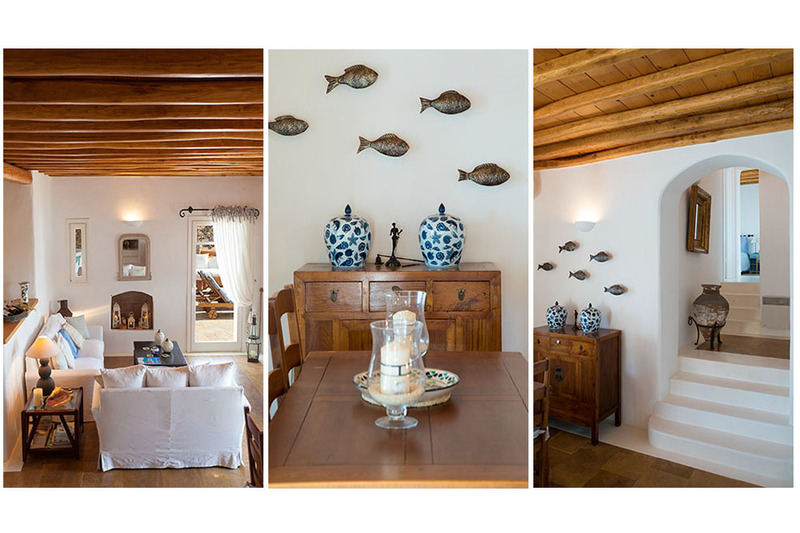 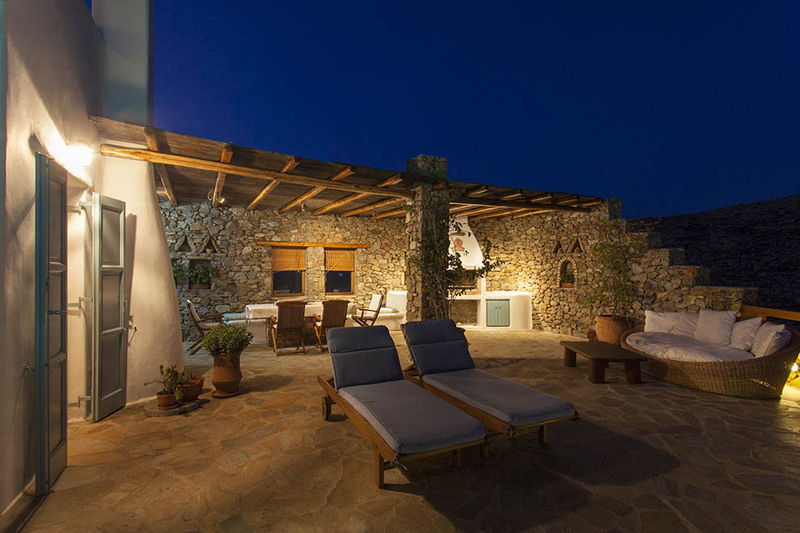 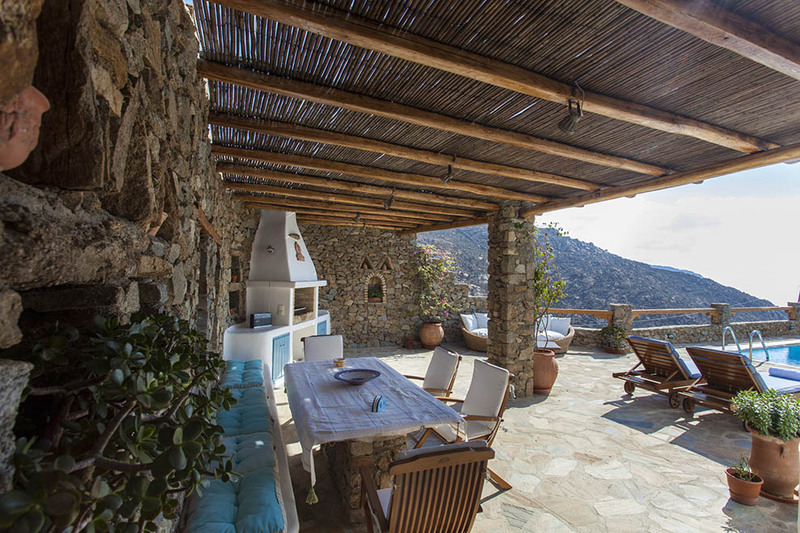 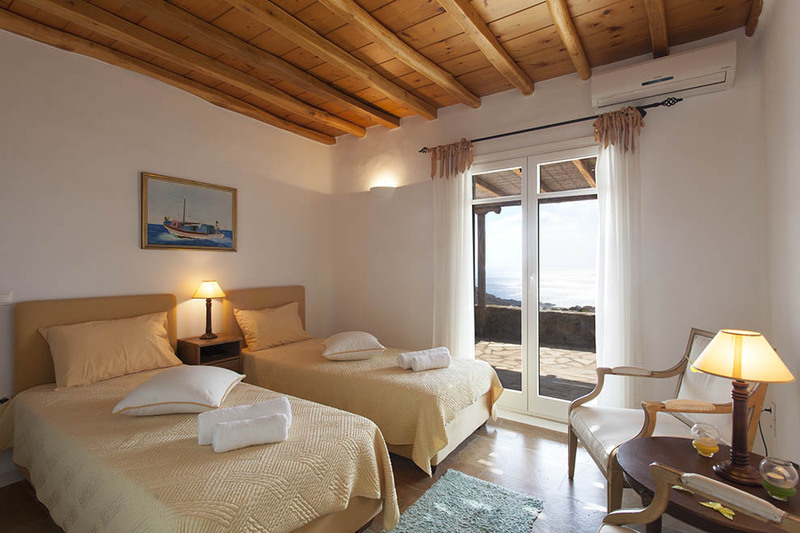 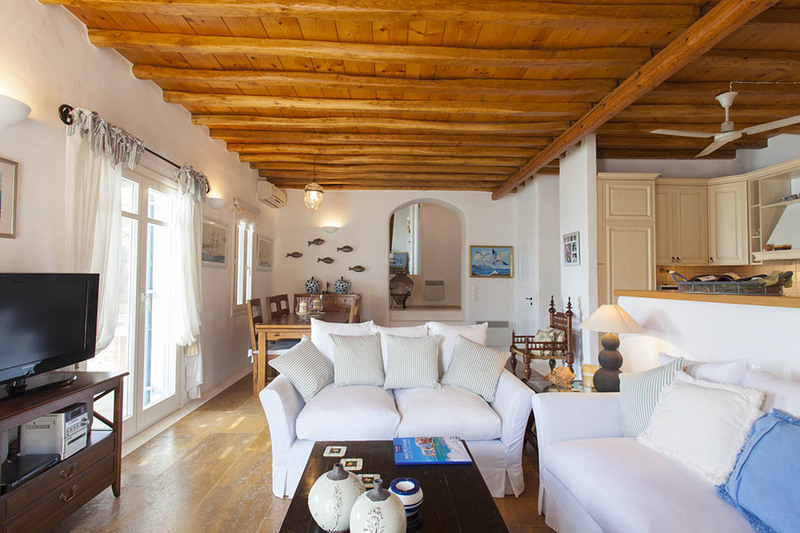 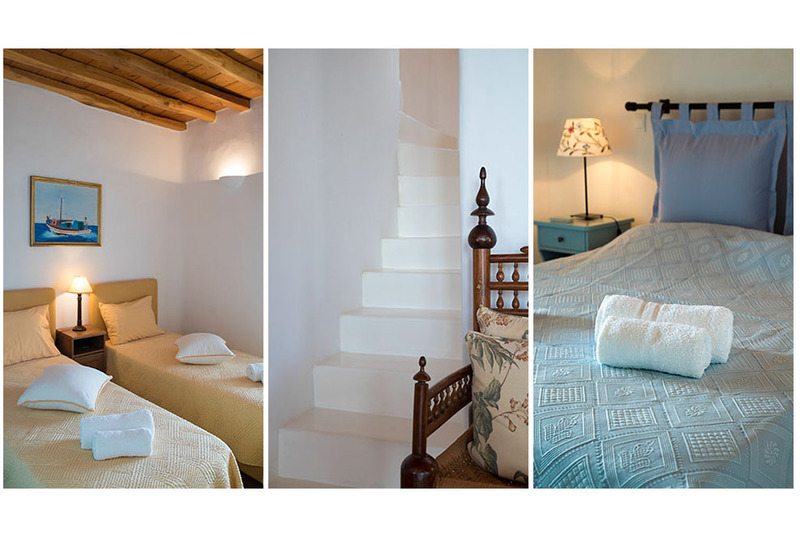 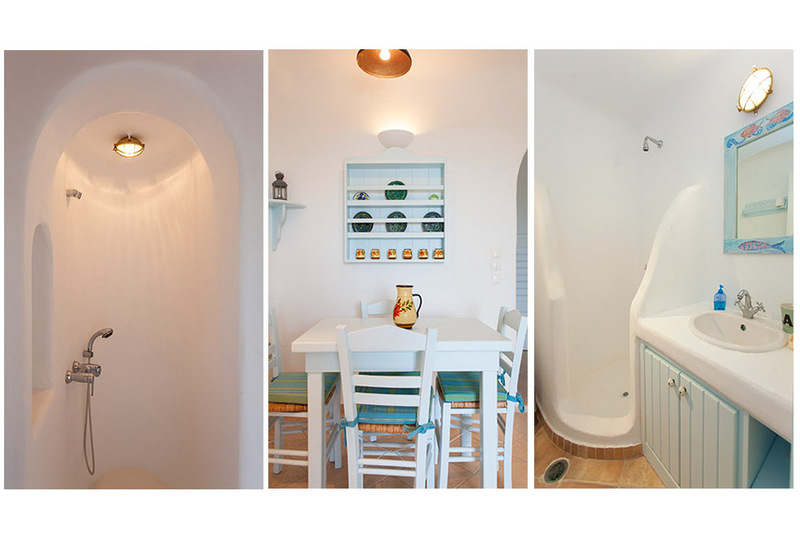 The decoration and furnishing of the villa have maintained their traditional character and Myconian architecture and style. 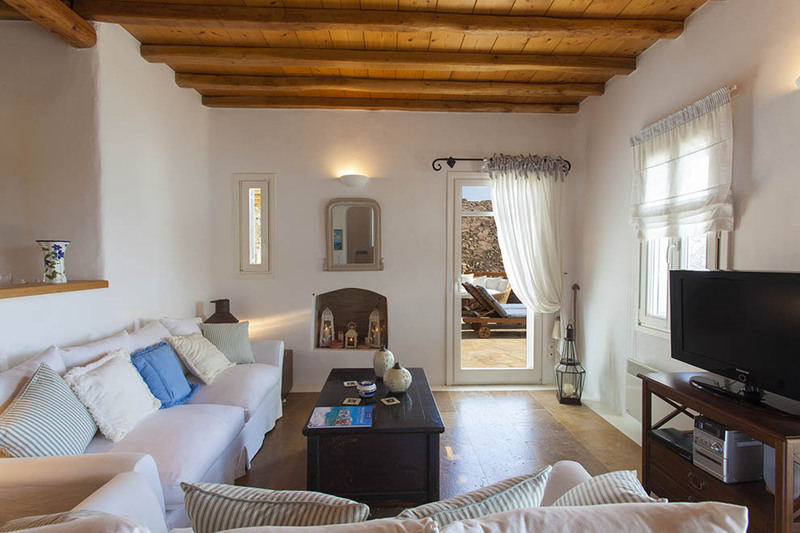 Inside the spacious villa, the prevailing color is white, which gives a feeling of lightness and relaxation, while the wooden floors and ceiling add a sense of warmth and coziness. 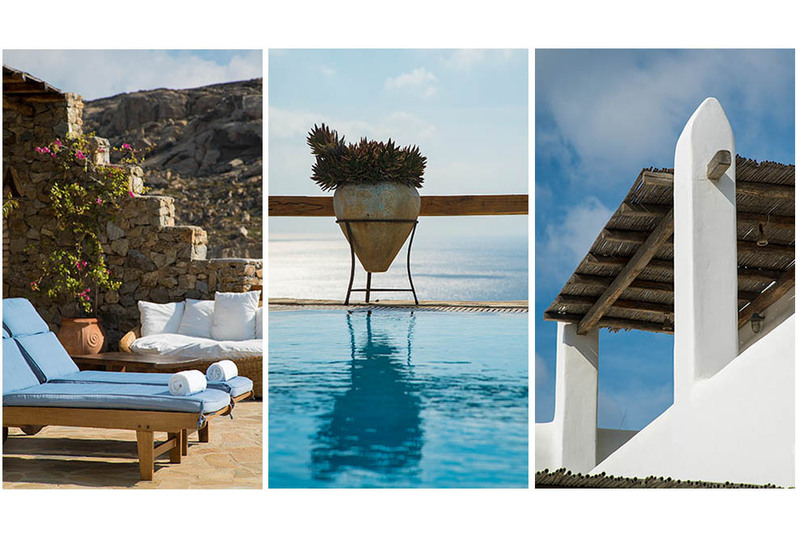 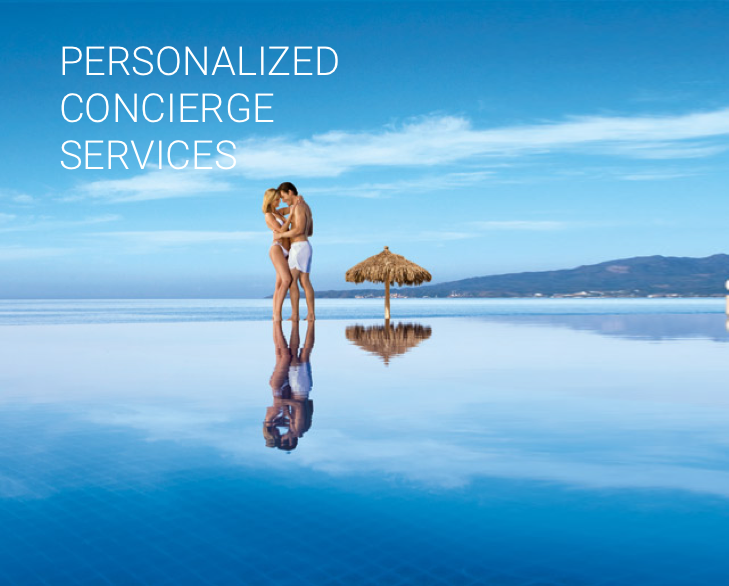 In the outdoor part of the villa, the gigantic infinity pool stands out, as well as the pergolas which create shade for the outdoor sitting and dining areas which are perfect for moments of relaxation or social gatherings. 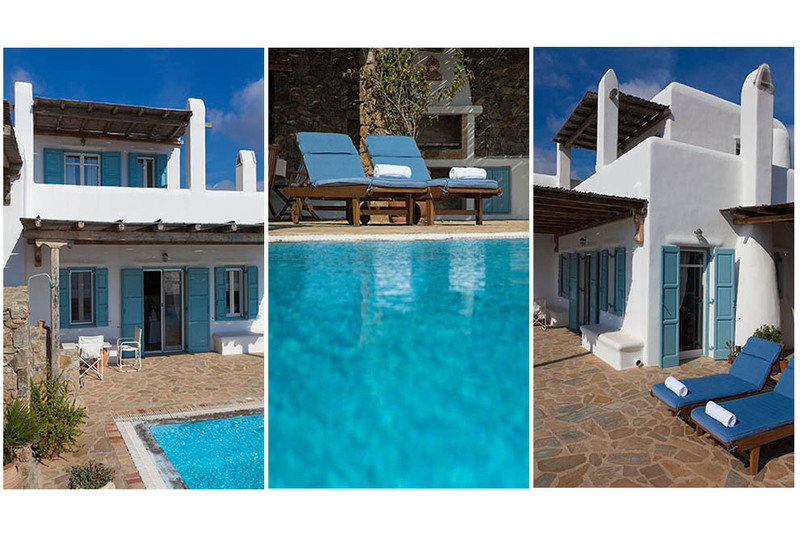 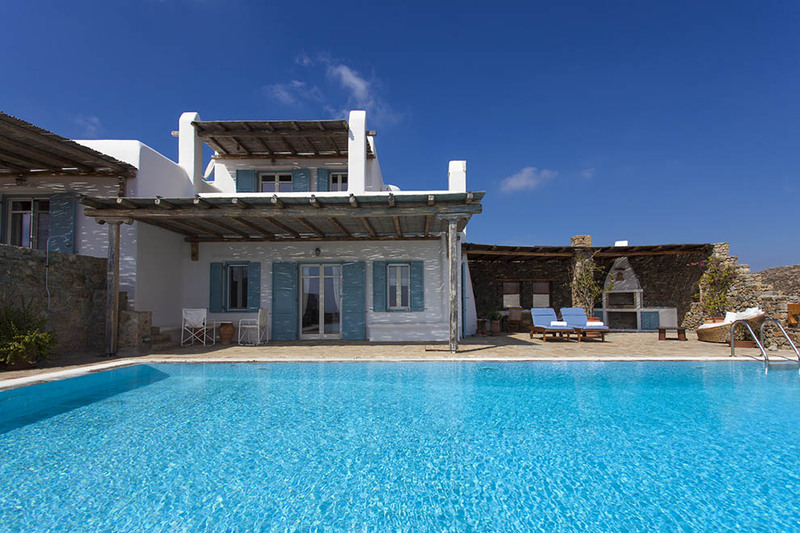 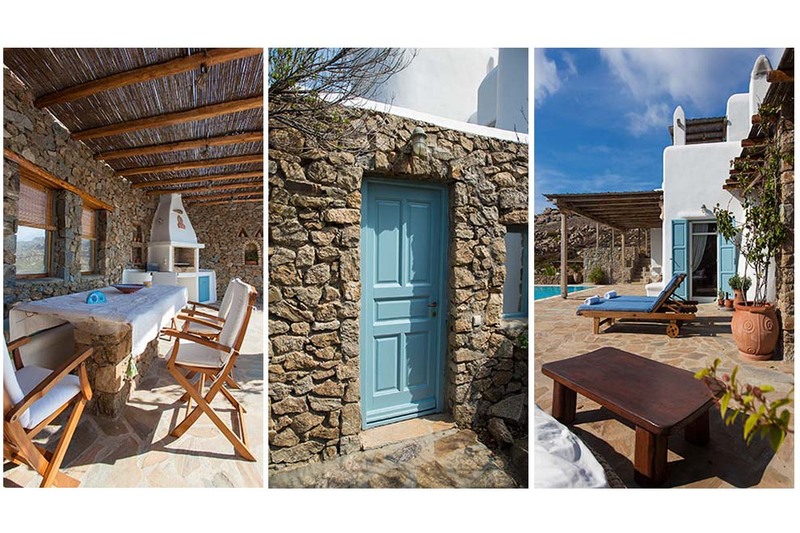 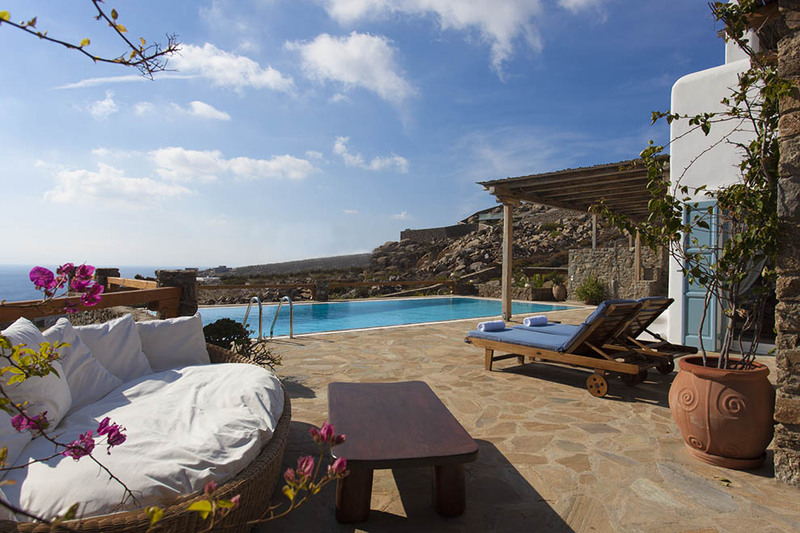 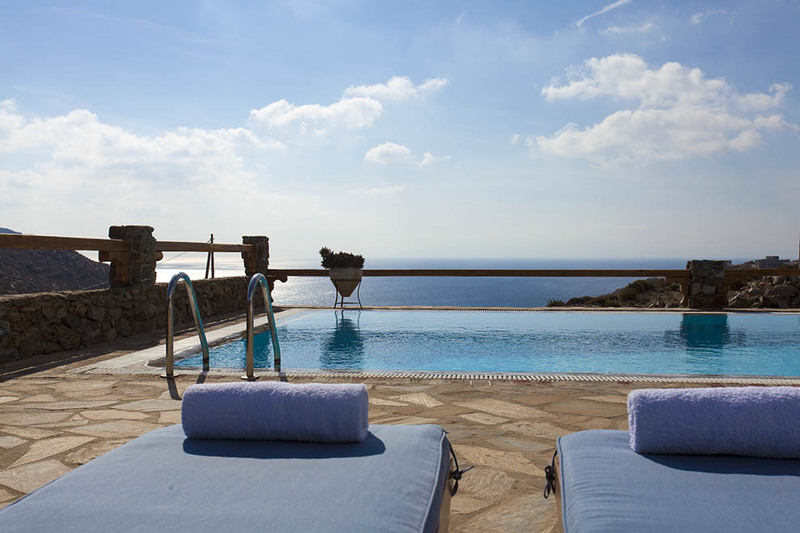 Villa Selene is an ideal choice for groups that are seeking for a quite location with natural beauty in order to enjoy their vacation in comfort and privacy, but also want to be near the cosmopolitan town of Mykonos and the vivid Paradise and Super Paradise beaches.